The food service industry is volatile due to the low barrier to entry, high level of competition and significantly low-profit margins. Foodservice operators are likely to reduce expenditures and save money wherever possible. Additionally, food service operators are known for being creative to attain an advantage on the competition. Designing menus that are less taxing on the consumer's choice are a common approach to increasing revenue and enhancing the consumer experience. Furthermore, unique menus are likely to attribute to an improved consumer experience that carries an intangible value of word of mouth marketing between consumers. Approximately 40 percent of North Americans eat at least one meal a day away from home, yet most colonial Americans never dined in a restaurant. Colonial Americans did eat away from home during church socials, funerals, weddings, and other special occasions. As early as the late seventeenth century, Colonial Americans began to frequent taverns, inns and boarding houses. Ironically, at this time, these establishments were required by law to offer meals for sale to travelers and workers that were away from home. The requirement to offer food for sale meant the need for having a list of items for sale, hence, the menu was born. Although the menu has changed in appearance and format since Delmonico's in the 1800s, the menu continues to serve the same purpose: to be the best marketing document. The menu is nearly guaranteed to be read by every patron. Best Buy and Walmart cannot claim that every customer reads a list of each product for sale. Non-traditional menus such as chalkboard and tablets are growing in popularity throughout the United States. 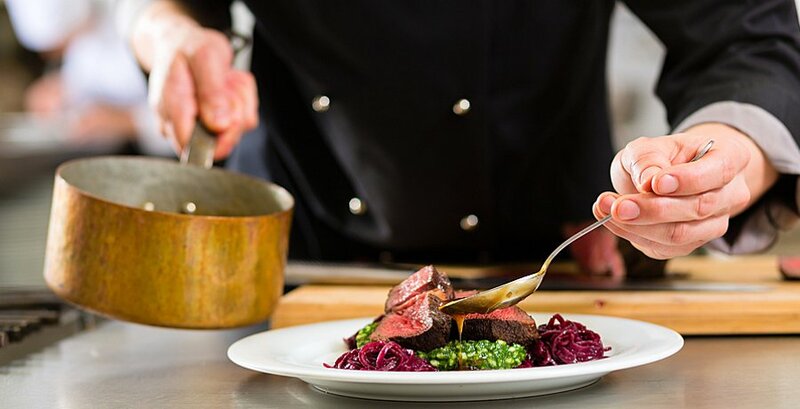 There is a significant amount of research that suggests anchoring menu items and prices entice a consumer to make a choice that best aligns with a restaurant's profit margin. As technology changes our behavior, and how individuals choose to engage with brands, restaurants have proven to change their approach to the consumer experience. It is common to visit restaurants that use tablets for menus or provide a tablet with each seat at the restaurant to keep the consumer occupied. Additionally, there is research that suggests table turnover times have decreased at such restaurants, which is likely to affect revenue for the restaurant and income for servers who rely on tips for compensation. RQ1: What are the effects of consumer choice when choosing food and beverage from a non-traditional menu? RQ2: What are the changes of restaurant revenue when offering the consumer a non-traditional menu? H2: Restaurants will experience an increase in the median amount of each bill when participants are offered a non-traditional menu. This research was a non-field study in a controlled environment. The restaurant was fictitious in a lab environment. No brand names were used. The time of day was 11:30 am - 2:00 pm. Participants who consumed food within two hours of the study were removed from the study. No comparison is designed to anchor from prior meals or future planned meals (ex. dinner reservations that evening). There could be an infinite number of variables for this research. The research team was not able to test each potential variable for validity purposes; however, we encourage other researchers to expand this research in the future. The definition of non-traditional menus are non-paper, non-verbal menus at restaurants that offer in-house seating and wait service. Furthermore, prices were removed from the menu items. Experimental Group #1 - Research group 1 viewed a chalkboard menu. Research group 1 was offered 5 food and beverage choices. Experimental Group #2 - Research group 2 viewed a digital menu on a tablet. Research group 2 was offered 22 food and beverage choices. Experimental Group #4 - Research group 4 viewed a tri-fold laminated paper menu that consisted of the same food and beverage items as research group 2. Research groups 1 and 3 shared the same food and beverage prices. Research groups 2 and 4 shared the same food and beverage prices. The participants consisted of 590 undergraduate students at a university in the United States. Each student received additional course credit for participating in the research. A total of 610 participants were recruited; however, 20 were later eliminated for consumption of food within two hours of the research. Age and socio-economic status were not collected or measured for this research. Although age and socio-economic status were not collected, it is likely that the majority of participants could be categorized into similar segments of the population. Additionally, it is likely that the results of this research will reflect the behaviors of the food choices often made by the participants of the study. Each participant in experimental group 1 was seated in the restaurant environment. The participant was seated alone and was instructed to make a food and beverage choice from a chalkboard menu on the wall. Prices were not included on the menu. Prices were withheld to avoid consumer self-anchoring of external variables that were not collected or measured during this experiment. Following the completion of experimental group 1, the median cost of the chosen meal was $16.62 (N = 140). There were no outliers in this data set. The standard deviation for this experiment was $4.41. The majority of participants chose the two menu items at the top of the chalkboard, (1) 64 percent of participants chose the second option, and (2) 23 percent chose the second option. Following the completion of experimental group 2, the median cost of the chosen meal was $12.31 (N = 162). There were 22 menu choices in group 2, 17 more than group 1. Additionally, group 2 chose their menu items from a tablet. The majority of participant choices were derived from the lower third of the menu. The participant was forced to scroll downward with their finger to view the lower third of the page. There were a total of 404 menu choices made during the experiment with group 2. Forty-one percent of menu choices were chosen from the lower third of the page, which were outside the digital margin of the tablet. Group 3 participants (N = 139) viewed a 5 x 7 inch cardstock menu. The menu that was presented to group 3 participants consisted of the same five items as group 1. The participant's menu choices during this experiment were significantly different than group 1. Group 3's participants mostly chose items that were on towards the bottom of the 5 x 7 cardstock menu. Additionally, the menu item that was chosen most frequently consisted of more characters than all other choices; therefore, the name of the menu item printed further right than other menu choices. The participant choice of this menu item is consistent with earlier human eye tracking research with menu choices. The median cost of participant choice was $9.81. Participants in group 3 chose less items per person than all other groups (M = 1.02). The last experimental group, group 4, consisted of 149 participants that viewed a tri-fold laminated paper menu that consisted of the same food and beverage items as research group 2. Consistent with prior human eye tracking research, the majority of participants chose menu items that were placed in the top right of the tri-fold. Fifty-four percent of participants chose at least one item in the top right of the tri-fold menu. The median cost per participant throughout the entire tri-fold menu was $19.04. The median cost of menu items chosen from the top right of tri-fold were $22.61. It is likely that non-traditional menus enticed creativity and innovation, which allow the participant to have freedom with their choices. As suggested from the research, group 1, the chalkboard menu, yielded the second highest median menu choices per person, only to fall short of the traditional tri-fold menu used in group 4, which yielded a significant $22.61 median cost per person. Research groups 2 and 3 didn't yield a higher cost; however, each suggest that menu item placement is likely to affect the consumer's choice through anchoring. Furthermore, the saliency of the menu is likely to affect the menu choices and the median dollar amount per person. Group 3 was offered a menu on 5 x 7 inch cardstock. The cardstock is likely to reflect lack of effort in the menu design, which is likely perceived as a lack of effort in food preparation and taste. Choices may differ when there is another person present at point of decision. There could be an infinite number of variables for this research. The research team was not able to test each potential variable for validity purposes; however, we encourage other researchers to expand this research in the future. The research conducted during these experiments confirms the cognitive tax of anchoring and it's affect on consumer choice. Consumers are likely to change their decisions based upon the delivery and presentation of a menu; moreover, consumers are likely to differ in the amount of money each spend per restaurant visit because of variables other than taste and hunger.